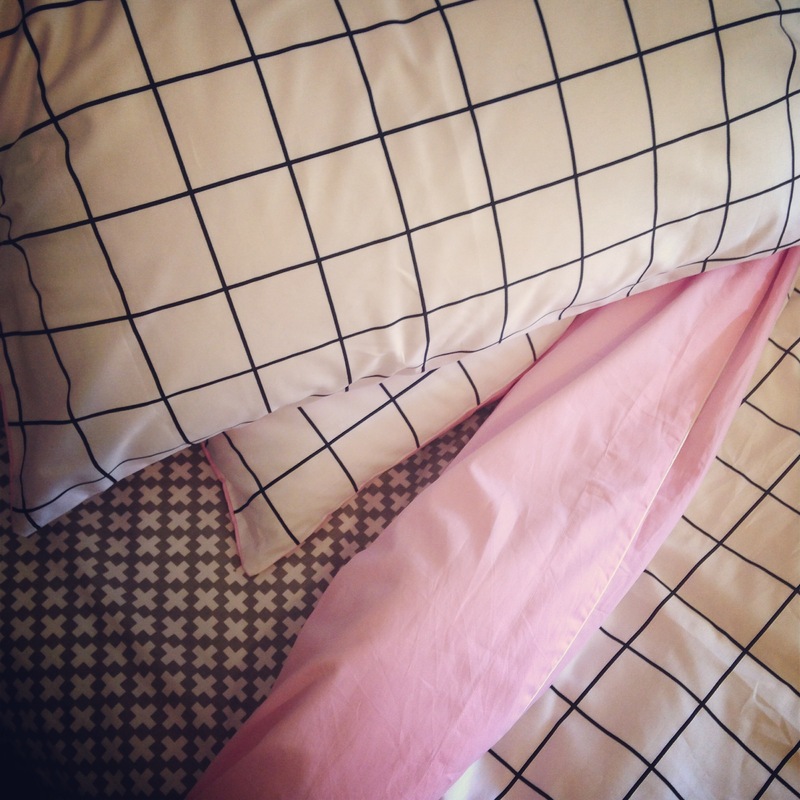 I tell ya what, there’s no nicer feeling than having fresh new linen fitted and laid out perfectly on your bed! And that’s what I’ve done today! I also absolutely love how it compliments everything in my room! 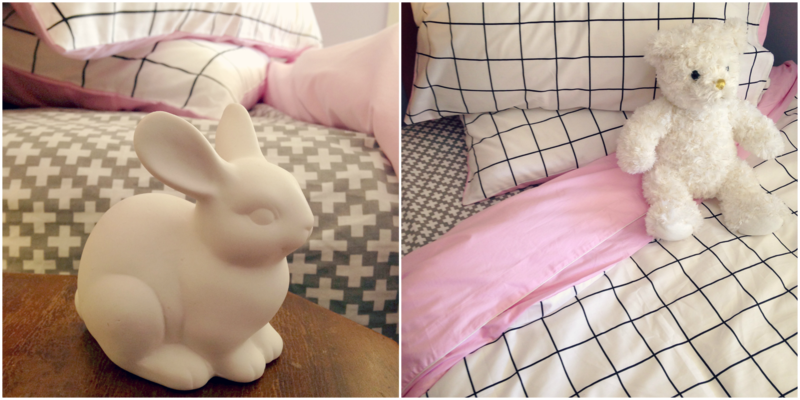 From my Happy Quilt hanging on the wall, to the porcelain bunny sitting on my bed stand as well as to the pastel purple colour on my walls! Even my Christmas Build-A-Bear seems to blend in beautifully with the contemporary and modern feel of it all! So hopefully I’ve inspired you to get into the mood to re-vamp your room with some pretty new linen! The anticipation of hopping into bed that night and snuggling contently into fresh warm and soft bedding will be truly worth it! I promise! 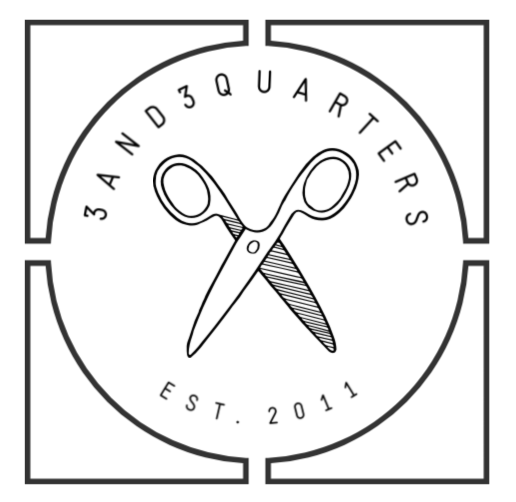 *Sleepy Bum kindly asked me to do a product review post on one of their quilt sets. 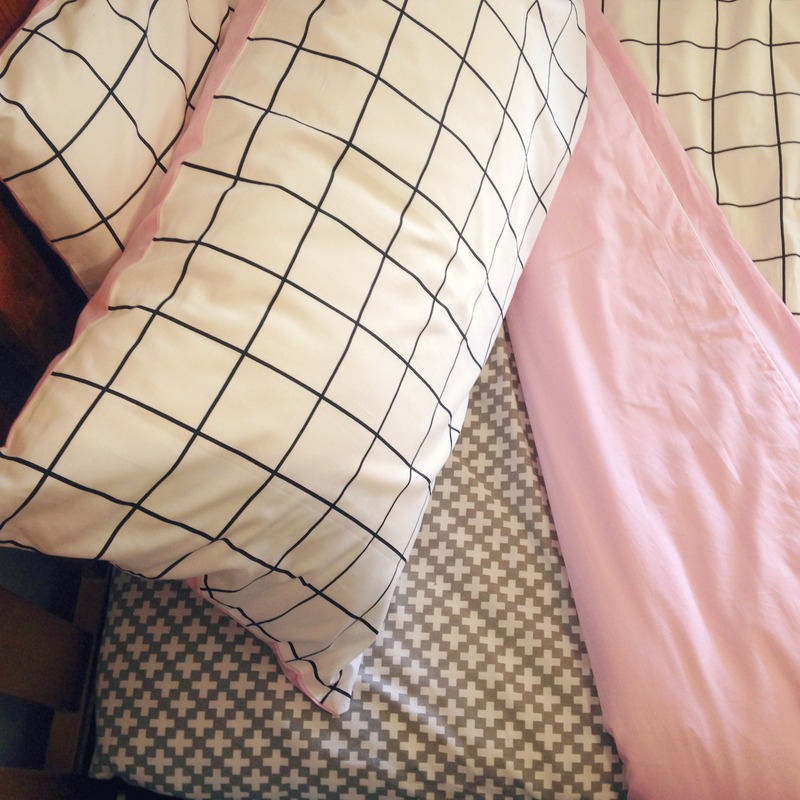 *The quilt set in review is the Athens Grid Lines in Baby Pink Cover Set in a Queen size. Even Finn’s excited about the new quilt cover set! Previous PostTUTORIAL: FPP Union Jack Block! Next PostHow to make a Quilty Cross Pincushion! 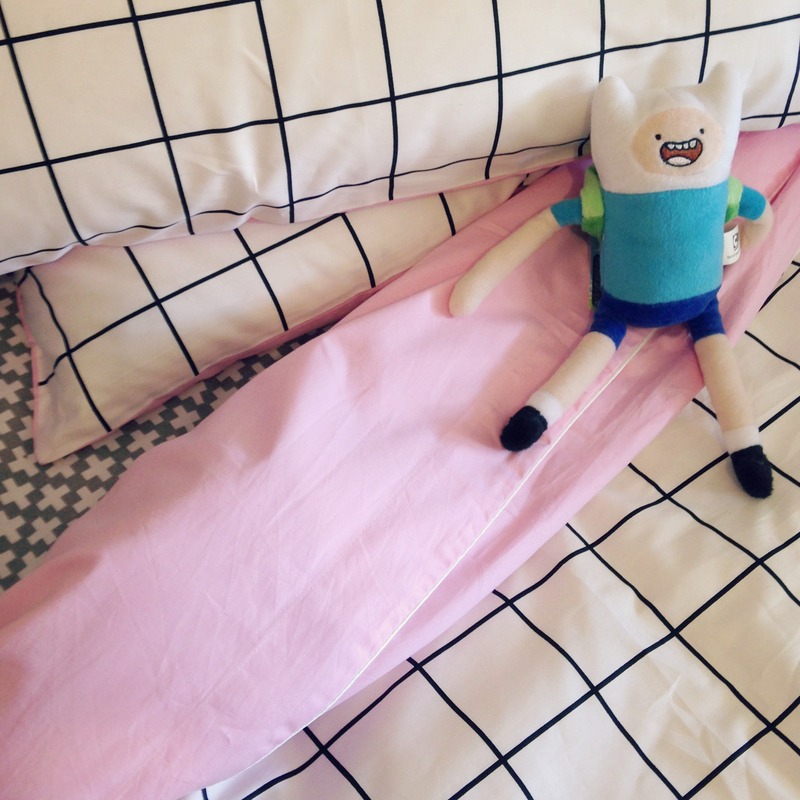 I love that you snuck Finn in there- I’m sure he loves the (super cute) bedding, too! !